This species is also cultivated in today in plantations situated in north of Spain, East Africa and South America. Eucalyptus wood is a very important wood in an economic sense, because of it extremely quick growth when is cultivated in plantations. It is very used for paper production, railroad ties and in ship and vehicle construction. The varieties extend from the pommele type to the distinct burl. Unlike other burl woods this does not occur through fine branch growth but is a pure growth characteristic of this tree, getting its burly appearance from the wavy course of the grain. The coloring of the veneer is anywhere from light yellow tones to deep red or purple shades. 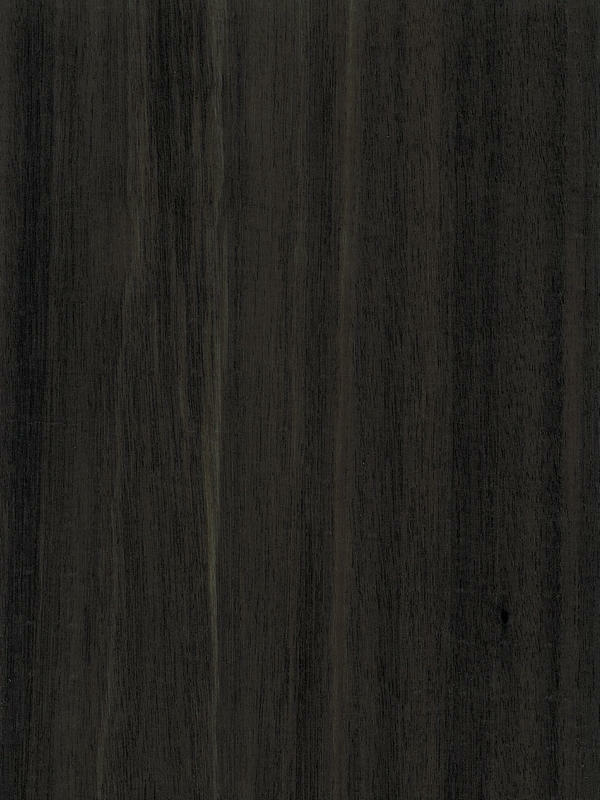 Its grain is as variable as the color, being straight to ropy with a medium to course and anywhere in between texture. Overall Eucalyptus is good to work with but varies a lot. We are a company specialised in production and distribution of natural, specially Eucalyptus wood veneers. The big versatile of this kind of wood, is getting that designers and architects go increasing its use, even in new fields like furniture design or interior decoration. Crown cut shows us the first bundles from a log because it is sliced over the heart. That produces the so-called cathedral structure, so much sought after in crown cut bundles and that raises its natural essence. Our Fumé Finishing is got by a Smoked Treatment. It is a special unique process, developed by ourselves. It is important to emphasize that this process is made sheet by sheet in autoclave with high pressure and short process (less than 24 hours), amonia neutralisation in the same process, remeasuring, relabelling and the possibility to test samples of every log to anticipate the result of each log after smoking. So due to all mentioned and to the undisputed properties of this wood, we obtain a high quality material with a very high visual impact that will produce an elegant and sophisticated hint, according to the new rustic or country trend, but without losing its defined personality.